Jason suddenly has no memory of who he is or what he is supposed to be doing, but whatever it is, it feels important. 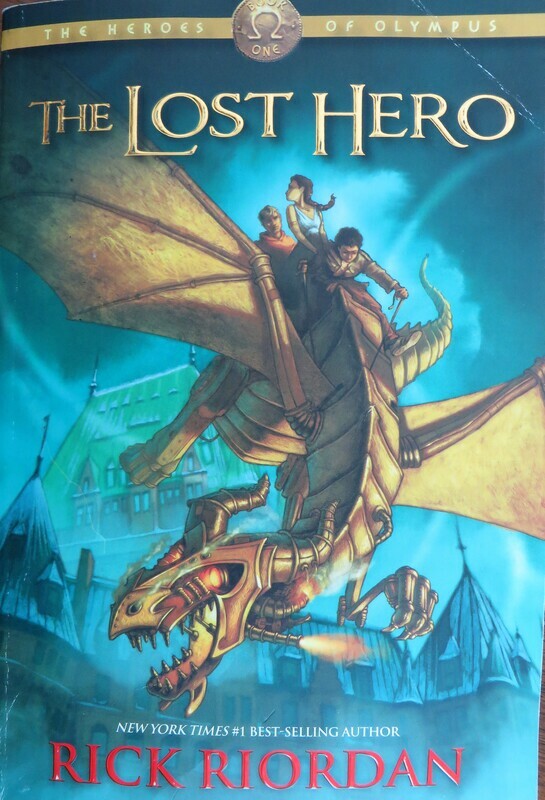 Fans of the Percy Jackson series may be frustrated to pick up this book, because it begins with a completely new set of characters in the familiar demigod world. Jason, Piper, and Leo each get a turn to tell the story through their perspectives as it unfolds. Jason is a straighter-laced, vanilla sort of hero, and without Percy's penchant for quips, he's a little less interesting to root for. Also, since the reader is more "in the know" than the protagonist, it's a little less exciting when "the big reveal" finally happens. However, Piper and Leo are likable supporting characters with interesting trajectories, and, as with all the books in this franchise, the monsters, battles, and struggles are plentiful. There is more of an effort to develop some of the characters here, including Percy, Hazel, Nico, Frank, and Annabeth - with each person hoping to become more than the world imagines is possible. Some of the books in this series are more compelling than others, and overall, it may not be quite as satisfying as the first trip through the first series. If you enjoyed that trip, you are likely to find more of the same to keep you turning pages. To storm or fire the world must fall . . ."